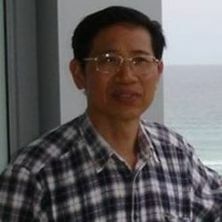 Dr Zhiqiang Guan is a senior research fellow with Queensland Geothermal Energy Centre of Excellence (QGECE) (http://www.geothermal.uq.edu.au/). He has many years of industry experiences in mining equipment and structure design, dynamic modelling, conditional monitoring, longwall mining reliability analysis, finite element analysis and experimental study. His current research interests include natural draft cooling systems design and analysis, dust monitoring, heat exchangers fouling study, solar mirror cleaning, wind tunnel testing, optical diagnostics (PDPA) and development of hybrid cooling technologies for solar power and geothermal power plants. Guan, Zhiqiang, Hooman, Kamel and Gurgenci, Hal (2016). A review on crosswind effect and mitigation: a challenge in natural draft cooling tower design. In: Reinhard Harte and Klaus Kaemmer, ICCT 2016 International Conference on Industrial Chimneys & Cooling Towers. International Symposium on Industrial Chimneys and Cooling Towers, Rotterdam, Netherlands, (157-170). 5-8 October 2016. Li, Xiaoxiao, Gurgenci, Hal and Guan, Zhiqiang (2016). Performance comparison of the crosswind effect on different size of natural draft dry cooling towers. In: International Symposium on Industrial Chimneys and Cooling Towers, Rotterdam, The Netherlands, (). 5-8 October 2016. Xia, Lin , Zhiqiang Guan and Gurgenci, Hal (2016). Pre-cooling performance comparison for water spray system designed by two NDDCT numerical models. In: Reinhard Harte and Klaus Kaemmer, ICCT 2016 International conference on industrial chimneys & cooling towers. International symposium on industrial chimneys and cooling towers, Rotterdam, The Netherlands, (471-477). 5-8 Oct 2016. Sun, Yubiao , Guan, Zhiqiang and Hooman, Kamel (2016). Single nozzle arrangement optimization for pre-cooling of inlet air in natural draft dry cooling towers. In: Reinhard Harte and Klaus Kaemmer, ICCT 2016 International conference on industrial chimneys & cooling towers. International Symposium on Industrial Chimneys and Cooling Towers, Rotterdam, The Netherlands, (411-419). 5-8 October 2016. Lu, Yuanshen, Parulekar, Prashant, Guan, Zhiqiang and Hooman, Kamel (2015). A study on cooling performance of air-cooled heat exchangers for CSG production. In: Kamel Hooman, Hal Gurgenci, Zhiqiang Guan, Yuanshen Lu and Manuel Lucas, Proceedings of the 17th IAHR International Conference on Cooling Tower and Heat Exchanger. IAHR International Conference on Cooling Tower and Heat, Gold Coast, QLD, Australia, (413-430). 7-11 September 2015. Xia, Lin, Guan, Zhiqiang, Gurgenci, Hal and Liu, Deyou (2015). CFD analysis of the water spray system with the vertical arranged nozzle for the pre-cooling in natural draft dry cooling towers. In: Kamel Hooman, Hal Gurgenci, Zhiqiang Guan, Yuanshen Lu and Manuel Lucas, Proceedings of the 17th IAHR International Conference on Cooling Tower and Heat Exchanger. IAHR International Conference on Cooling Tower and Heat, Gold Coast, QLD, Australia, (627-642). 7-11 September 2015. Odabaee, M., Shanechi, M. M., Guan, Zhiqiang and Hooman, K. (2015). Comparison of direct and indirect cooling in an sCO2 Brayton cycle for concentrated solar power plants. In: Kamel Hooman, Hal Gurgenci, Zhiqiang Guan, Yuanshen Lu and Manuel Lucas, Proceedings of the 17th IAHR International Conference on Cooling Tower and Heat Exchanger. IAHR International Conference on Cooling Tower and Heat, Gold Coast, QLD, Australia, (493-503). 7-11 September 2015. Li, Jishun, Song, Tianyi, Li, Xiaoxiao, Gurgenci, Hal and Guan, Zhiqiang (2015). Design of a natural draft dry cooling tower for a 30- mwe concentrating solar thermal plant using a supercritical CO2 cycle. In: Kamel Hooman, Hal Gurgenci, Zhiqiang Guan, Yuanshen Lu and Manuel Lucas, Proceedings of the 17th IAHR International Conference on Cooling Tower and Heat Exchanger. IAHR International Conference on Cooling Tower and Heat, Gold Coast, QLD, Australia, (360-368). 7-11 September 2015. Russell, Hugh, Hooman, Kamel and Guan, Zhiqiang (2015). Design, construction and early testing of a 1-mw natural draft dry cooling tower. In: Kamel Hooman, Hal Gurgenci, Zhiqiang Guan, Yuanshen Lu and Manuel Lucas, Proceedings of the 17th IAHR International Conference on Cooling Tower and Heat Exchanger. IAHR International Conference on Cooling Tower and Heat, Gold Coast, QLD, Australia, (527-534). 7-11 September 2015. Guan, Z., Yu, S., Hooman, K., Gurgenci, H. and Barry, J. (2015). Dust characterisation for solar collector deposition and cleaning in a concentrating solar thermal power plant. In: M. Reza Malayeri, Hans Müller-Steinhagen and A. Paul Watkinson, Proceedings of 11th International Conference on Heat Exchanger Fouling and Cleaning - 2015. Heat Exchanger Fouling and Cleaning, Dublin, Ireland, (301-307). 7-12 June 2015. Lu, Yuanshen, Guan, Zhiqiang, Gurgenci, Hal, He, Suoying and Alkhedhair, Abdullah (2015). Experimental study on the effects of a tri-blade-like windbreak wall on small size natural draft dry cooling towers. In: Kamel Hooman, Hal Gurgenci, Zhiqiang Guan, Yuanshen Lu and Manuel Lucas, Proceedings of the 17th IAHR International Conference on Cooling Tower and Heat Exchanger. IAHR International Conference on Cooling Tower and Heat, Gold Coast, QLD, Australia, (393-412). 7-11 September 2015. Odabaee, M., Shanechi, M. M., Guan, Zhiqiang and Hooman, K. (2015). Heat transfer augmentation and opimisation in a solar enhanced natural draft dry cooling tower. In: Kamel Hooman, Hal Gurgenci, Zhiqiang Guan, Yuanshen Lu and Manuel Lucas, Proceedings of the 17th IAHR International Conference on Cooling Tower and Heat Exchanger. IAHR International Conference on Cooling Tower and Heat, Gold Coast, QLD, Australia, (451-459). 7-11 September 2015. Alkhedhair, Abdullah, Guan, Zhiqiang, Jahn, Ingo and Gurgenci, Hal (2015). Parametric study on spray cooling systems in natural draft dry cooling towers with a new nozzle representation approach. In: Kamel Hooman, Hal Gurgenci, Zhiqiang Guan, Yuanshen Lu and Manuel Lucas, Proceedings of the 17th IAHR International Conference on Cooling Tower and Heat Exchanger. IAHR International Conference on Cooling Tower and Heat, Gold Coast, QLD, Australia, (1-12). 7-11 September 2015. Li, Jishun, Lin, Xia, Ma, Wei, Gurgenci, Hal and Guan, Zhiqiang (2015). Water consumption comparison between a natural draft wet cooling tower and a natural draft hybrid cooling tower – an annual simulation for Luoyang conditions. In: Kamel Hooman, Hal Gurgenci, Zhiqiang Guan, Yuanshen Lu and Manuel Lucas, Proceedings of the 17th IAHR International Conference on Cooling Tower and Heat Exchanger. IAHR International Conference on Cooling Tower and Heat, Gold Coast, QLD, Australia, (344-359). 7-11 September 2015. He, Suoying, Guan, Zhiqiang, Gurgenci, Hal, Hooman, Kamel and Alkhedhair, Abdullah M. (2014). Experimental study of heat transfer coefficient and pressure drop of cellulose corrugated media. In: Harun Chowdhury and Firoz Alam, Proceedings of the 19th Australasian Fluid Mechanics Conference. 19th Australasian Fluid Mechanics Conference, Melbourne, VIC, Australia, (176.1-176.4). 8-11 December 2014. Alkhedhair, A., Guan, Z., Gurgenci, H., Jahn, I. and He, S. (2014). Experimental study on inlet air cooling by water spray for natural draft dry cooling towers enhancement. In: Harun Chowdhury and Firoz Alam, Proceedings of the 19th Australasian Fluid Mechanics Conference. 19th Australasian Fluid Mechanics Conference, Melbourne, VIC, Australia, (71.1-71.4). 8-11 December 2014. Guan, Zhiqiang, Gurgenci, Hal, He, Suoying and Lu, Yuanshen (2014). Performance analysis of natural draft dry cooling tower with inlet air precooling. In: Reinhard Harte and Klaus Kaemmer, ICCT 2014 International conference on industrial chimneys and cooling towers. International symposium on industrial chimneys and cooling towers, Prague, Czech Republic, (175-182). 8-11 October 2014. Hooman, K. and Guan, Z. (2013). Advances in air-cooled heat exchangers. In: Proceedings of the 16th IAHR Cooling Tower and Air-cooled Heat Exchanger Conference. 16th IAHR Cooling Tower and Air-cooled Heat Exchanger Conference (IAHR 16), Minsk, Belarus, (1-11). 30 September-2 October 2013. He, S., Guan, Z. and Gurgenci, H. (2013). Inlet air cooling with wetted media for natural draft dry cooling towers. In: Proceedings of the 16th IAHR Cooling Tower and Air-cooled Heat Exchanger Conference. 16th IAHR Cooling Tower and Air-cooled Heat Exchanger Conference (IAHR 16), Minsk, Belarus, (1-14). 30 September-2 October 2013. Alkhedhair, A, Gurgenci, H., Jahn, I. and Guan, Z. (2013). Numerical simulation of water injection for pre-cooling inlet air in dry cooling towers. In: Proceedings of the 16th IAHR Cooling Tower and Air-cooled Heat Exchanger Conference. 16th IAHR Cooling Tower and Air-cooled Heat Exchanger Conference (IAHR 16), Minsk, Belarus, (1-16). 30 September-2 October 2013. Guan, Z, Gurgenci, H, Hooman, K, He, S and Alkhedhair, A (2013). Wind tunnel studies on inlet air pre-cooling for concentrated solar power (CSP) plants. In: Proceedings of the 16th IAHR Cooling Tower and Air-cooled Heat Exchanger Conference. 16th IAHR Cooling Tower and Air-cooled Heat Exchanger Conference (IAHR 16), Minsk, Belarus, (1-11). 30 September-2 October 2013. Lu, Y., Guan, Z. and Gurgenci, H. (2012). CFD simulations on small natural draft dry cooling towers. In: P. A. Brandner and B. W. Pearce, Proceedings of the 18th Australasian Fluid Mechanics Conference. 18th Australasian Fluid Mechanics Conference, Launceston, Australia, (). 3-7 December 2012. Guan, Zhiqiang, Zou, Zheng and Gurgenci, Hal (2012). Hybrid natural draft steel cooling tower for geothermal power plant applications. In: Reinhard Harte and Rudiger Meiswinkel, Proceedings ISCT 2012 6th International Symposium on Cooling Towers. ISCT 2012 6th International Symposium on Cooling Towers, Cologne, Germany, (607-616). 20-23 June 2012. He, S. Y., Gurgenci, H., Guan, Z. Q. and Lu, Y. A. (2012). Investigation of pre-cooling with Munters media for air-cooled geothermal power plants performance enhancement. In: C. Huddlestone-Holmes and E. Gerner, Proceedings of the 2012 Australian Geothermal Energy Conference. 2012 Australian Geothermal Energy Conference, Sydney, Australia, (81-85). 14 - 16 November 2012. Zou, Zheng, Guan, Zhiqiang and Gurgenci, Hal (2012). Numerical simulation of solar enhanced natural draft dry cooling towers. In: P. A. Brandner and B. W. Pearce, Proceedings of the 18th Australasian Fluid Mechanics Conference. 18th Australasian Fluid Mechanics Conference (AFMC), Launceston, Australia, (). 3-7 December 2012. Zou, Zheng, Gurgenci, Hal, Guan, Zhiqiang and Lu, Yuanshen (2011). Analytical and numerical modelling on solar enhanced natural draft dry cooling tower. In: Zhao Shun'an and Li Wuquan, 15th IAHR Cooling Tower and Air-Cooled Heat Exchanger Conference and 2011 Annual Symposium of Industrial Cooling Tower Study Committee of CSEE Thermal Power Chapter proceedings. 15th IAHR Cooling Tower and Air-Cooled Heat Exchanger Conference and 2011 Annual Symposium of Industrial Cooling Tower Study Committee of CSEE Thermal Power Chapter, Beijing, People's Republic of China, (317-327). 23-26 October 2011. Lu, Yuanshen, Guan, Zhiqiang, Gurgenci, Hal and Zou, Zheng (2011). Development of small natural draft dry cooling towers for geothermal power plants. In: Zhao Shun'an and Li Wuquan, Proceedings: The 15th IAHR Cooling Tower and Air-Cooled Heat Exchanger Conference & 2011 Annual Symposium of Industrial Cooling Tower Study Committee of CSEE Thermal Power Chapter. The 15th IAHR Cooling Tower and Air-Cooled Heat Exchanger Conference & 2011 Annual Symposium of Industrial Cooling Tower Study Committee of CSEE Thermal Power Chapter, Beijing, China, (308-316). 23 - 26 October 2011. Guan, Zhiqiang, Pluschke, Armin, Roe, Tony, James, Kevin and Gurgenci, Hal (2011). Dust monitoring for air-cooled heat exchangers in Innamincka geothermal power site. In: The 15th IAHR Cooling Tower and Air-cooled Heat Exchanger conference & 2011 Annual Symposium of Industrial Cooling Tower Study Committee of CSEE Thermal Power Chapter Proceedings. 15th IAHR Cooling Tower and Air-cooled Heat Exchanger Conference & 2011 Annual Symposium of Industrial Cooling Tower Study Committee of CSEE Thermal Power Chapter, Beijing, People's Republic of China, (328-334). 23-26 October 2011. Guan, Zhiqiang and Gurgenci, Hal (2011). Hybrid cooling research station. In: The 15th IAHR International Conference & 2011 Annual Symposium of Industrial Cooling Tower Study Committee of CSEE Thermal Power Chapter Proceedings. International Conference on Cooling Tower and Heat Exchangers (15th, IAHR, 2011), Beijing, China, (347-353). 23-26 October 2011. Guan, Zhiqiang and Gurgenci, Hal (2011). Natural draft steel cooling tower for geothermal power plants. In: Zhao Shun'an and Li Wuquan, Proceedings of the 15th IAHR International Conference on Cooling Tower and Heat Exchangers. 15th IAHR International Conference on Cooling Tower and Heat Exchangers, Beijing, China, (206-213). 23-26 October 2011. Hooman, K. and Guan, Z. (2011). QGECE research on heat exchangers. In: Proceedings of the 2011 Australian Geothermal Energy Conference. Australian Geothermal Energy Conference, Melbourne, Australia, (103-108). 16-18 November 2011. Gurgenci, Hal and Guan, Zhiqiang (2010). New design concepts for natural draft dry cooling towers. In: Hal Gurgenci and Rikki Weber, Proceedings of the 2010 Australian Geothermal Energy Conference. Australian Geothermal Energy Conference 2010, Adelaide, Australia, (290-293). 16-19 November 2010. Gurgenci, H. and Guan, Z. (2009). Dirigible natural draft cooling tower in geothermal and solar power plant applications. In: 14th IAHR Cooling Tower and Air-Cooled Heat Exchanger Conference, Stellenbosch, South Africa, (1-4). 1-3 December 2009. Guan, Z. and Gurgenci, H. (2009). Dry Cooling Technology in Chinese Coal-fired Power Plants. In: Australian Geothermal Conference 2009, Brisbane, (). 10-13 November 2009. Nazari, A., Guan, Z., Daniel, W.J.T. and Gurgenci, H. (2005). Analytical methods for better design and repair of mechanical welded structures. In: H Gurgenci, M Hood, P Lever and P Knights, 2005 Australian Mining Technology Conference - New Technologies to Produce More with Less. Proceedings of the 2005 Australian Mining Technology Conference, Freemantle, Western Australia, (41-48). 27-28 September 2005. Hood, Michael, Guan, Zhiqiang, Tiryaki, Nazife, Li, Xing and Karekal, Shivakumar (2005). The benefits of oscillating disc cutting. In: H. Gurgenci, M. Hood, P. Lever and P. Knights, Proceedings of the 2005 Australian Mining Technology Conference - New technologies to produce more with less. 2005 Australian Mining Technology Conference, Fremantle, W.A., Australia, (267-278). 27-28 September 2005. Nazari, A., Guan, Z., Daniel, W.J.T. and Gurgenci, H. (2004). Life estimation for structural welded joints based on hot spot stresses. In: H Gurgenci, A Hall, D Howarth, P Lever, T Meyer and E Nebot, Proceedings of the 2004 CRCMining Research and Effective Technology Transfer Conference. CRCMining Conference, Noosa Head, Queensland, Australia, (1-8). 15-16 June 2004. Guan, Z. and Gurgenci, H. (2004). Reliability improvement through smart longwalls project. In: H. Gurgenci, A. Hall, D. Howarth, P. Lever, T. Meyer and E. Nebot, Proceedings of the 2004 CRCMining Research and Effective Technology Transfer Conference. CRCMining Conference, Noosa Head, Queensland, Australia, (1-12). 15-16 June 2004. Guan, Zhiqiang, Gurgenci, Hal and Meehan, Paul (2002). Duty monitoring and duty-based maintenance on mining equipment. In: Proceedings of the 3rd Asia Pacific Conference on Systems Integrity and Maintenance. 3rd Asia Pacific Conference on Systems Integrity and Maintenae, Hilton Cairns, Australia, (115-120). 25-27 September, 2002. Guan, Zhiqiang, Faruquee, Zakir, Horton, Bradley and Gurgenci, Hal (2001). Dragline Field Testing. In: Alfred L. Wicks and Raj Singhal, Proceedings of SPIE: Proceedings of IMAC-XIX, Vols 1 & 2- a conference on structural dynamic. 19th International Modal Analysis Conference (IMAC), Kissimmee, Florida, (1556-1560). 4-8 Feb 2001. Gurgenci, H., Guan, Z., Townson, P. and Murthy, D. N. P. (2000). Managing damage on draglines and other mining machines. In: After 2000 - The Future of Mining Annual Conference (AusIMM 2000). The Impact of New Technology and Changing Demands on the Mining Industry, Sydney, Australia, (96-101). 10-12 April, 2000. Horton, C., Gurgenci, H., Veidt, M. and Guan, Z. (1999). Damage detection in practical mechanical structures. In: Euromech 401: Inverse Methods in Structural Dynamics. Euromech 401: Inverse Methods in Structural Dynamics, Dept of Mechanical Engineering, The Univ. of Liverpool, (1). 6-7 September 1999. Guan, Z. and Gurgenci, H. (1999). Life prediction for dragline boom with increased bucket loads. In: David Ho, Thirteenth Australasian Compumod Users' Conference Proceedings. , Melbourne, (3.1-3.8). 12-13 October 1999. Guan, Z., Horton, C. and Gurgenci, H. (1999). Testing dragline DRE23 in peak downs. In: Hal Gurgenci and Jimin He, International Conference on Applications of Modal Analysis '99: Recent Advances in Modal Analysis Practice. Recent Advances in Modal Analysis Practice, Gold Coast, Qld, Aust., (377-383). 15-17 Dec 1999. Proceedings of the 17th IAHR International Conference on Cooling Tower and Heat (2015) . Edited by Kamel Hooman, Hal Gurgenci, Zhiqiang Guan, Yuanshen Lu and Manuel Lucas. 17th IAHR International Conference on Cooling Tower and Heat Exchanger, 7-11 September 2015, Gold Coast, QLD, Australia. Guan, Zhiqiang (1998). Mechanics of rock/tool/machine interaction in disc rock cutting PhD Thesis, School of Engineering, The University of Queensland.